Audrey Whitticomb has nothing to fear. Her mother is the superhero Morning Star, the most deadly crime-fighter in the Twin Cities, so it's hard for Audrey not to feel safe. That is, until she's lured into the sweet night air by something human and not human-something with talons and teeth, and a wide, scarlet smile. Now Audrey knows the truth: her mom doesn't fight crime at night. She fights Harrowers-livid, merciless beings who were trapped Beneath eons ago. Yet some have managed to escape. And they want Audrey dead, just because of who she is: one of the Kin. When an unthinkable betrayal puts Minneapolis in terrible danger, Audrey discovers a wild, untamed power within herself. It may be the key to saving her herself, her family, and her city. Or it may be the force that destroys everything-and everyone-she loves. Bethany Frenette tried very hard to become a superhero, but eventually decided to write about one instead. Born and raised in Minnesota, she received her undergraduate degree from St. Cloud State University and her MFA in Creative Writing from Hamline University. She lives in Minneapolis, where she still hopes to awake one day with superpowers. 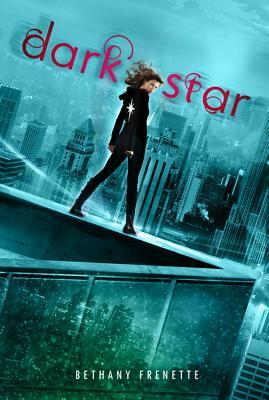 Dark Star is her first novel.